WILLITS, Calif. (KGO) -- A Northern California photojournalist who is suing the California Highway Patrol for allegedly violating his constitutional rights will soon get his day in court. 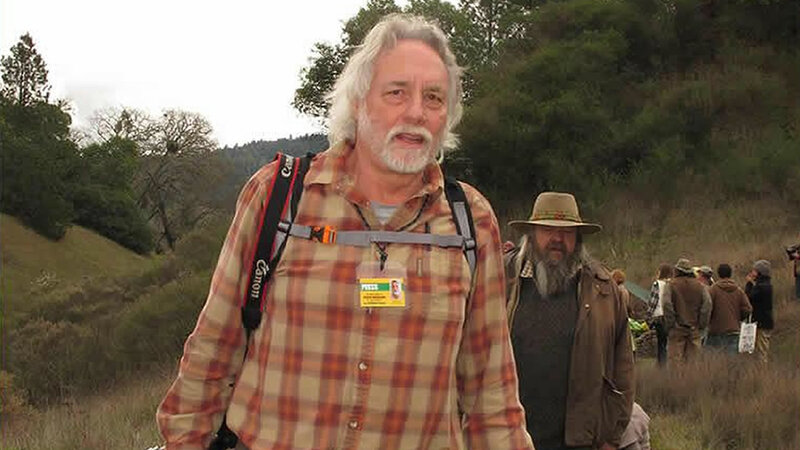 The trial is set for February 22nd, more than two years after Steve Eberhard, a freelance photojournalist for The Willits News, was arrested by CHP officers. Eberhard was covering a protest against the controversial Caltrans freeway project known as the Willits Bypass in Mendocino County. Eberhard was held in jail for several hours. No criminal charges were filed. Eberhard's attorney, Duffy Carolan, says CHP officers had previously harassed and tried to intimidate Eberhard. Carolan believes officers arrested Eberhard to prevent him from covering the protest. The CHP declined to comment because the litigation is ongoing. Eberhard originally sued the CHP itself, three officers, and Caltrans. A settlement has been reached with Caltrans, and charges against that agency have been dismissed. Eberhard's lawsuit claims CHP officers violated his First and Fourteenth Amendment rights and seeks unspecified damages. Eberhard's photos have appeared many times on ABC7 News. Last year he was awarded the James Madison Freedom of Information Award by the Society of Professional Journalists for his coverage of the Willits Bypass.